I can't wait to see more photos of your new suite! Happy moving! How exciting! I'm looking forward to photos of the finished product. Happy holidays! I wish you all the best with you move. We were in the midst of getting ready for our own (from Toronto to Penticton) last December and I know all too well how much stress a move can inject into the holiday season. It looks lovely! Good luck with the move and have a very merry Christmas! Oooh, that looks promising, good luck! Moving is always a new, fun adventure! I just love prohi era flats and suites! My home was built 1926 and its alive with stories. I'm anxious to see your pictures of the finished result. I've loved your blog for a couple of years now! I'm so pleased with every post! Are you staying in Edmonton? Your new place looks very promising! 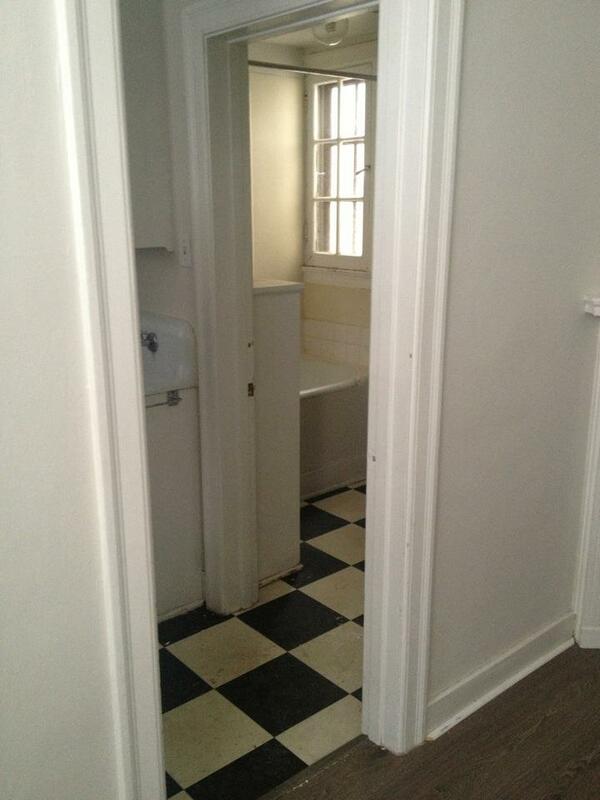 I've always loved black and white checkerboard floors like that. Good luck with your move. I look forward to seeing more photos when you are settled in.